Plan intended to improve the health and wellness of folks all over Wisconsin. 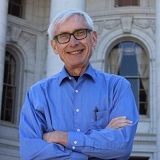 MADISON – Gov. Tony Evers today announced that his budget will include a $43 million investment to dental access across the state.